Christmas is just around the corner, and everyone can have a taste of it through a sweet cup of Serenitea’s limited Christmas drinks: the Lotus Biscoff Speculoos Coolers. Speculoos, a spiced short crust biscuit, is traditionally served as a Christmas treat in Belgium. Made with Lotus Biscoff Spread and sprinkles of crushed Lotus Caramelized biscuit on top, Speculoos Coolers brings out the flavors of Christmas that everyone can enjoy this holiday season. No matter how diverse a person’s taste, family, friends, and, officemates can find a Speculoos flavor to suit their taste. What sets these coolers apart, is the delectable flavor of the Lotus Biscoff Spread in every sip along with the sweetness of caramelized biscuit of Lotus Biscoff on top of the cream. Taro Speculoos (195 PhP - Large Size 700 cc) - The all-time favorite taro combined with the palatable flavor of Lotus Biscoff and adding a hint of cookie dough in a slush. 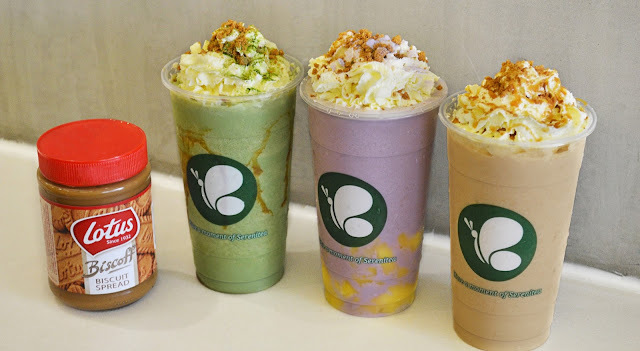 Matcha Speculoos (195 PhP - Large Size 700cc) - Bestseller-flavor Matcha green tea matched with cookie butter and Lotus Biscoff into slush made in heaven. This Christmas season, everyone can definitely eat, drink and have a fun-filled holiday with their friends and family at Serenitea. 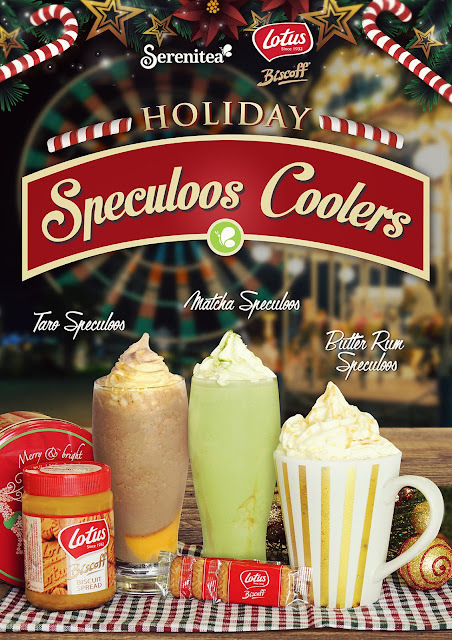 The Speculoos Coolers are available in all 45 branches of Serenitea nationwide until January 31, 2017 only; and if you want more sweetness this Christmas, Lotus Biscoff Spread and Original Caramelized Biscuit products are available in all leading supermarkets nationwide.